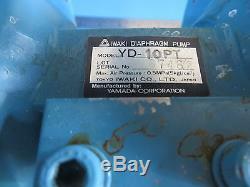 Iwaki YD-10-PT Air-Driven Plastic Diaphragm Pump. Used unit in functional condition. Unit has brown and white stains from previous use. Previously used in the gas cabinet of an Ebara CMP EPO-113 system (vintage 1998). Box size 12" x 12" x 10. 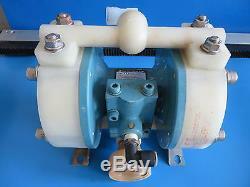 The item "Iwaki YD-10-PT Air-Driven Plastic Diaphragm Pump" is in sale since Monday, January 19, 2015. 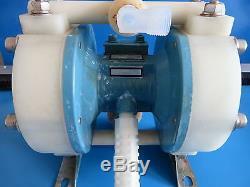 This item is in the category "Business & Industrial\Hydraulics, Pneumatics, Pumps & Plumbing\Pumps & Pump Accessories\Other Pumps". 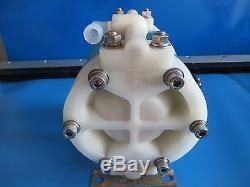 The seller is "svtsurplus" and is located in San Jose, California.